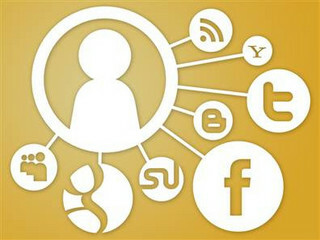 As more and more people adopt some form of social media — Twitter, Facebook, Foursquare, etc. — the line between work and home life is rapidly disappearing. Part of this is due to opaque and involved privacy terms that often go unread by end users. In simplest terms, most people are unaware of how much public data they are creating. You usually hear about this in the form of stories about someone getting fired for posting pictures of themselves enjoying a cocktail or doing something else that could be deemed inappropriate by their employer. That is only the beginning. In a health industry publication, lawyer Joanna Burton, wrote of four incidents where a trail of social media posts were used to show that health professionals had engaged in inappropriate sexual relationships with current or former patients. In one case, messages from the online dating website RSVP were used as evidence that a psychologist was pursuing more than friendship with a patient. In the past, these cases often had little evidence to prove an inappropriate relationship whereas new technology and social media platforms could leave a permanent online footprint over which participants have limited control and which could be used against them in a court or disciplinary tribunal, said Mrs Burton, a senior associate at Barry Nilsson Lawyers. As I pointed out in my recent “Creepy Apps” post, there is a stunning amount of info about most social media users, available at the touch of a button. Most people have no idea how much transparency they have inadvertently adopted. Even your private postings are in danger of causing you trouble. In a move that is spurring legislation in a number of states, some employers are asking interviewees to hand over their used ID’s and passwords (usually for Facebook). Not only is this against the Facebook terms of service (ToS), but it can also put both the prospective employer and the interview subject on questionable legal footing. Imagine being a hiring manager for a company that has a policy of this nature. You interview a candidate who looks like a good fit, and then you log in to her Facebook profile where you see pictures of her with her girlfriend. If you end up not hiring her, she can then easily say, whether it is accurate or not, that she was passed over for her sexual preference. This path rapidly leads to discrimination lawsuits. On the other side of the interview desk, the prospective employee has the disadvantage of submitting his or her private affairs to scrutiny, much like allowing someone to read your mail. In some cases, all it takes is one image of the subject drinking a beer at a football game (the horror!) to get dropped from consideration. In some places, it seems that saner heads might prevail, if they can get their legislation passed. At the moment, Maryland is the only state to have passed a bill denying employers the option of asking for social media log-ins. People on both sides of the argument are waiting to see if the governor will sign it into law. If so, it will probably help give legs to other, similar efforts going on in seven other states (according to the National Conference of State Legislatures). [Bradley] Shear [a Bethesda, Md.-based social media attorney], who pushed for the Maryland legislation, said giving employers access to password-protected information not only violates people’s privacy, but hampers technology development, which relies on users to trust the security of the websites. California State Assembly member Nora Campos is one of the people who gets it. People frequently post to social media platforms with the expectation that it will be as private as a written diary. Much like a written diary, that privacy must be respected, and due process adhered to (in the form of a warrant for the info, if needed) — just as with any other personal property. In addition to the prohibition the bill would place on requirements that applicants provide prospective employees with access to their social media accounts, AB 1844 specifically eliminates an employer’s responsibility to search or monitor social media before hiring the employee as part of its duty under existing law to exercise reasonable care in employing a person and is required to use reasonable care to discover whether a potential employee is unfit or incompetent. According to the U.S. Chamber of Commerce, there are 129 cases from across the nation before the National Labor Relations Board in which employer workplace policies around social media are being scrutinized. In California, this ambiguity in social media policies has led to a broad coalition of support for AB 1844, including from the CalChamber, ACLU, AFSCME, and members of the tech community. The line between public and private has never been thinner. Since legislation moves at a far slower pace than innovation, it’s hardly surprising that these issues are only now reaching the government level. Have you been asked for your social media data by a prospective employer? If so, did you relinquish it, or did you refuse? Why? Image by Topgold (Bernard Goldbach), used under its Creative Commons license.